The job of kingship has historically been a stressful one, and alongside advisers and seers, royalty often had court jesters around to lower the tone and raise the mood. In the late 14th century Canterbury Tales by Chaucer, the “Nun’s Priest’s Tale” is set on March 32nd, a nonsense date, i.e., 1 April. Whilst this may be a copyist’s error, the tale itself is full of comic irony. April 1st jesting is attested throughout the early 16th century in French and Flemish customs and several origin stories suggest it was due an end March to 1 January calendar change in Britain or France. The first British reference is in 1686, and in 1698 people were tricked into going to the Tower of London for the annual “washing the lions” – a fake event that was still conning people as late as 1857! On the eve of April Fool’s 1864, the Evening Star of Islington, London, announced that a “grand exhibition of donkeys” would be held the next morning at the Agricultural Hall. Next day, a large crowd gathered outside the hall until they realised that they themselves were the donkeys on display! 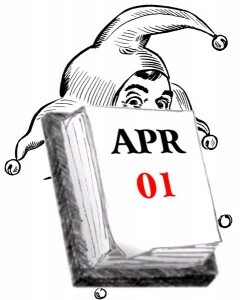 While it goes by the name of All Fools, April Fools’ or April Fool’s Day, as well as Poisson d’Avril “April Fish” in French, it’s been around much longer. In earlier times and different calendars, our current 1st April would still have coincided with the advent of Spring and the end to the darkness of winter. So it is a season to be celebrated and it seems from of old to have attracted festivities, pranks and jokes. 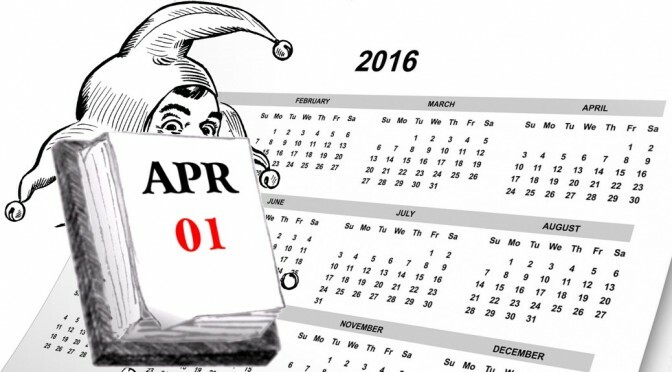 Nowruz, the 13th day of the Persian New Year falls on April 1/2 and in Iran this is still a day for jests going back over 2500 years, possibly the oldest pranking tradition in the world. It is called Sizdah Bedar “13 Bedar” and may be part of the origin of April Fools but it is uncertain how it may have spread from ancient Persia. The 13th of the month Farvardin is celebrated as a day to “go out”, be-dar in Persian, and have fun outdoors and pray for spring rains, indeed at midday the defeat of the Demon of Drought by the Angel of Rain was celebrated. Zoroastrian beliefs that “laughter and joy symbolize the throwing away of all bad thoughts” account for some of the merriment on Sizdah Bedar. There are also some beliefs that Sizdah Bedar meant “13 going out/getting rid of” and unlucky 13 and all its bad luck was disposed of on this day. Back in 1957, before the British were so accustomed to pasta, the BBC’s Panorama programme broadcast a documentary hoax showing spaghetti growing on trees which convinced many, especially with the serious authority lent it by anchorman Richard Dimbleby! The great spaghetti spoof harvest joke ranks no#1 in the Museum of Hoaxes top 100! Other hoaxes have included Alabama changing the value of Pi to a biblical value of “3” or Burger King making a “Left-handed Whopper”. Most newspapers carry at least one April Fool’s story buried somewhere in the paper and it is fun to guess which it is. Sadly, our crazy world means that many real stories appear to be jokes but are not. Last year saw organic giraffe milk being offered at Paignton Zoo, Dodo and chips being eaten in 18th century Bristol leading to their extinction, and Yoyo the macaroni penguin laying a golden egg – and, no, its name wasn’t the April Fool, Eudyptes chrysolophus is a yellow crested penguin drawing its name from an 18th century Dandy fashion dubbed Maccaronism, a “flamboyant or excessive ornamentation”. In modern times, there are comedians everywhere, including and especially in politics, well jokes anyway. 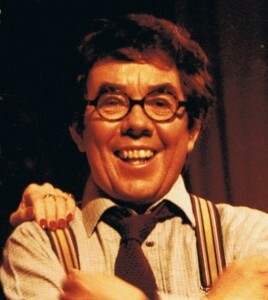 There seem to be more fools trying to lead countries and even some comedians considering election, e.g., Sandi Toksvig, Eddie Izzard and in Italy, Giuseppe Piero “Beppe” Grillo. If only Donald Trump’s views on abortion, women, Muslims, Mexicans, immigration, equal marriage, etc, were an April Fools Day joke, as it is he and his views are the joke that Democrats and rational people worldwide must hope fall flat rather than get elected.